Selected as a Favorite of the Week at Split Coast Stampers! 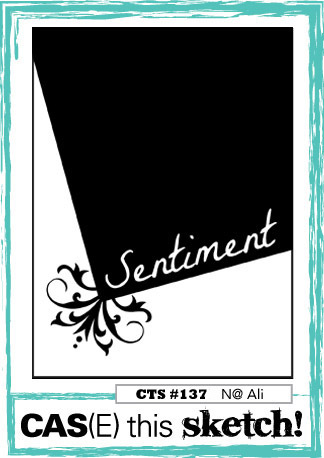 How absolutely gorgeous is that sentiment font?!? White area of card was stamped with leaves and outlines using new inks from W Plus 9 (oh so gorgeous Fall colors). Sentiment was stamped on this panel also, knowing I would cover most of it up with the Black panel. As you can see, just a tiny bit of that sentiment is stamped over the leaves. Black panel sentiment was stamped and heat embossed. A fussy cut leaf and a few enamel dots finished this card nicely. Such a beautiful card, Penny! Especially love how you've stamped the sentiment twice. It's a beautiful CAS card! love the color combination and the striking black panel! Hi! Thanks so much for playing along with my challenge at WPlus9! I love your beautiful card. Good luck!! Really love the big solid black part of the card! Makes the flowers pop! Thanks so much for playing along with us at the Pinterest Inspired Challenge! Ooohhhhhh love your wonderfully dramatic card! Oh, this is gorgeous! I love how the sentiment switches from white to black! Fabulous take on the sketch! Such an elegant card and I love the colors! So lovely with such an elegant flair to it!! Love the way you had one card meet so many awesome challenges!! What a beautiful job you have done with the tilted part of this card - meets the sketch - dead on!! Beautiful card that you got there, love the contrast of the colors.